Another reason to pay for your news | Chuckinay! From the movie “His Girl Friday” (1940). Richard Perez-Pena, a journeyman reporter for The New York Times national desk, has written an interesting explanation of the revival of the role of rewrite editors in news. Things have kind of come full circle. The rewrite method of preparing news for publication evolved to overcome a lack of tools. Today it is in use again to overcome an overabundance of tools and numerous sources of information, and to overcome the fact things keep changing and the digital platform needs to be constantly fed. As recently as the early 1990s, reporters had a notepad and a pocketful of coins, and that was about it in terms of tools in the field. If there was urgency, you found a landline telephone — usually a pay phone, but sometimes you knocked on a stranger’s door to ask if you could use theirs — to call in your story or dictate your notes. Sometimes you dictated the first draft of a story to whoever was on the other end of the line, but usually what we dictated was a combination of useable newswriting and notes, because you were flipping through the scribbled-on pages of the notepad. (“Oh, here’s a quote for you to insert higher up in the story …”) The person in the newsroom then rewrote this stuff into a polished narrative. When I had to dictate like this, I used to close my eyes and pretend I was in front of a typewriter. Writing that was generated with typewriters was not so easily polished on the fly; you let your consciousness stream onto the page and refined it later. Writing was a more linear process than it is today. So dictating over the phone was simply a matter of switching from the keyboard to your voice. The result was going to be kind of rough either way. In the field, sometimes you took a few minutes to hand-write a story and then read it over the phone. But more often it was a combination of reciting into the receiver actual paragraphs that could be published and facts or quotations. In any event, it was quick and dirty. For those of you not in the business, Perez-Pena’s description of what happens at The New York Times is fairly typical of how newspapers handle breaking news today. Few of us have a dedicated rewrite desk waiting for stuff to happen, but when big news breaks and you have multiple reporters involved or developments in multiple places, one person pulls it together in the newsroom and posts iterations to the Web as events unfold. What Mr. Perez-Pena did not get into is that everything else gets refined, too, as the story develops. We add images, improve the headlines, add links, change the home page layout. At some point late in the day, you settle on a version of a story that will go to print. And then you might update the online version again that night or in the morning. Throughout this process, we practice a discipline that distinguishes professional journalism from all the crap online: verification. 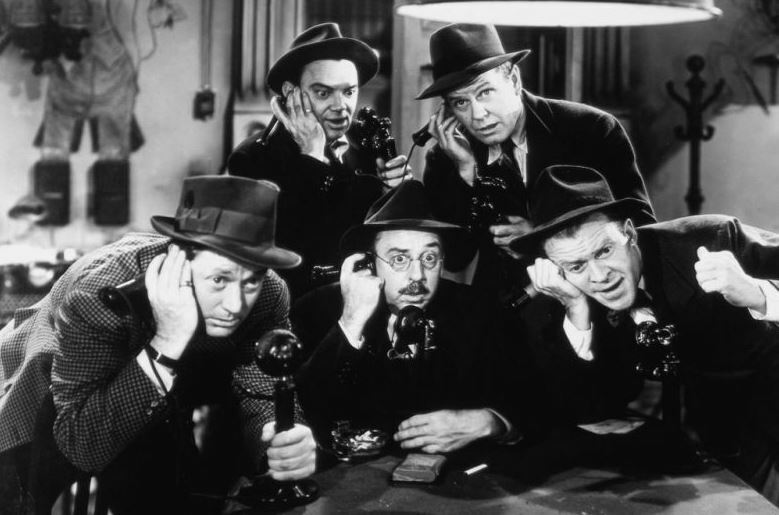 When we want to include something in a story, the operative question is always, “How do we know that?” Good news reporting is very labor intensive, even in modest situations, and high technology has made that no less the case than in the days of pay phones. That’s why it’s so important for you to be willing to pay for news — even a news product you know is occasionally flawed. I know everyone complains about their local paper, but try to imagine it not there.